This the best bread recipe I have found ( for white bread) and it comes from The River Cottage Cookbook, which by the way, is one of my all time favorite cookbooks, chock full of good recipes! All-purpose or bread flour, about 4 cups, plus extra for dusting the work surface. Instant yeast, 1 packet or 2 1/4 teaspoons. Sugar or honey, 2 teaspoons. Warm water, about 1 1/4 cups. Butter or olive oil for greasing the pan. A large mixing bowl, wooden spoon, tablespoon, teaspoon, large glass measuring cup, a clean tea towel, loaf pan, or baking sheet. 1. Put flour in mixing bowl. add salt, yeast and sugar(if using honey, add that to the water/oil mixture). Stir well. 2. Mix water, honey ( if using), and oil together. 3. Pour the oily mixture into the flour mixture, a little at a time. Either with your hands or a wooden spoon, work the water into the flour and gradually bring it all together into a mass of soft, slightly sticky dough. If the dough feels very sticky, add more flour. If it feels like it won't come together, then work in some more warm water- a soft dough is much easier to knead. 4. Flour the work surface, and turn the dough out onto it. It looks rough and saggy at this stage, so it has to be kneaded until it's smooth and bouncy. Keep kneading for as long as you can-at least 10 minutes, if possible. 5. When you feel like your arms are ready to drop off, shape the dough into a neat ball, put it back into the bowl and cover with a clean tea towel . Place in a warm place ( I put ours by the wood stove) to rise. 6. Once it has risen ( it will take about 1/2 to 2 hours) , your dough should be a big puffy mass. Pull it out of the bowl and knead it gently for about half a minute. Shape it into a loaf and put into your greased loaf pan. Take beaten egg and gently brush the loaf. Cover with a the tea towel and let rise for another 30 minutes (not too much, you don't want it to double in size). 7. Turn oven to 475 and gently place bread in the oven. After 10 minutes turn the oven down to 400 and bake for another 15-20 minutes. Bread is done when golden brown on the top and it sounds hollow when you tap it. Serve hot with butter and/or jam! 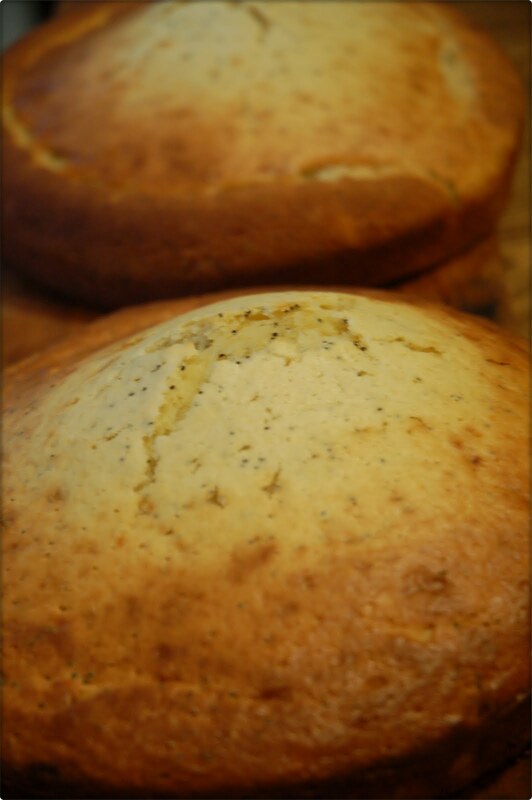 Lemon Poppy Seed Cake, made by Sophia. Thanks Rosie, for the recipe! I definitely am going to make this, but will double it at least for our gang here! Rosie I understand why the River Cottage Family Cookbook is one of your all time favourites, we love it too. Recently we had a pancake race(pg99) for my daughters birthday and it was so much fun. Have you ever tried it? I bought this cookbook as a gift for my daughter last year. My eight year old granddaughter loves it and reads it like a novel! She is getting The Pioneer Woman's cookbook for her birthday next month. I will definitely try this bread recipe, looks great. Do you preheat the oven to 475 or just turn it on and put the bread right in? I was on the cherch about a good bread recipe. I will try ours seems yummy!!! Sounds a really good recipe Rosie. I try it and see how I go. Thank you for sharing it with us. I've been a long time reader on your mom's blog and was so pleased when someone directed me to your blog. I'm enjoying catching up on your family's doing's and always love the photos and beautiful quotes. Please wish your mom and your family many, many blessings this coming year. Oh, this bread looks perfectly splendid! Don't you love the smell and feel of good bread? I love to knead, so I rather like the thought of kneading for ten minutes or so. A delightful afternoon activity, is it not, especially on wintery days? This bread looks delicious. Thanks for sharing it with us. I really want to try this. 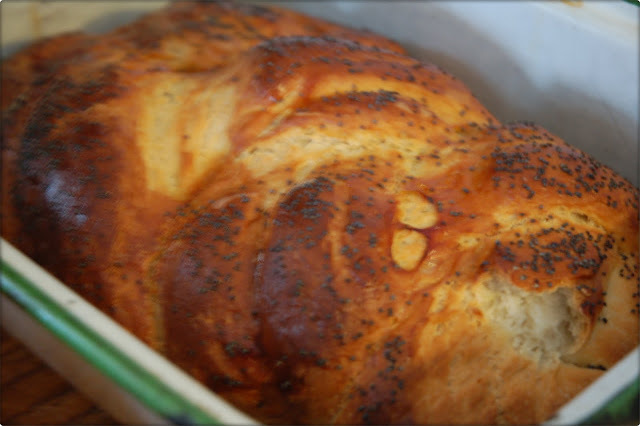 I plan on trying to make this bread, today! :) I look forward to trying it! Thanks for the recipe Rosie! Rosie, I am so sorry.. I copied your bread recipe and then read where I was to ask for your permission.. 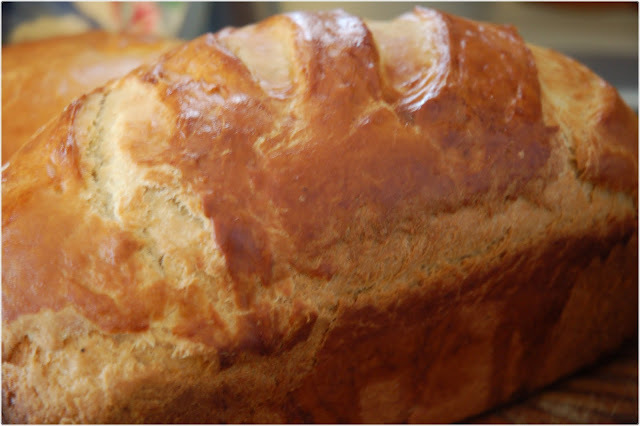 The bread looked and sounded so good to me, that I just ran me a copy of it..so that I could try my hand at making it.. I will try to remember to ask you next time before copying any recipes.. Thank you so much for sharing your recipes... They all sound delish!